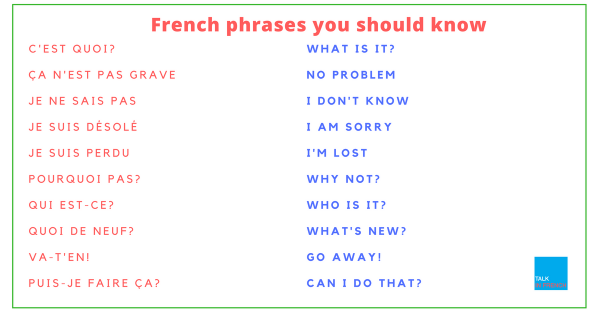 Sometimes, it is great to memorize some of the must used phrases that might come handy when talking with a French native-speaker. So, here I will share 50 common phrases in French, which I am sure you will find useful. 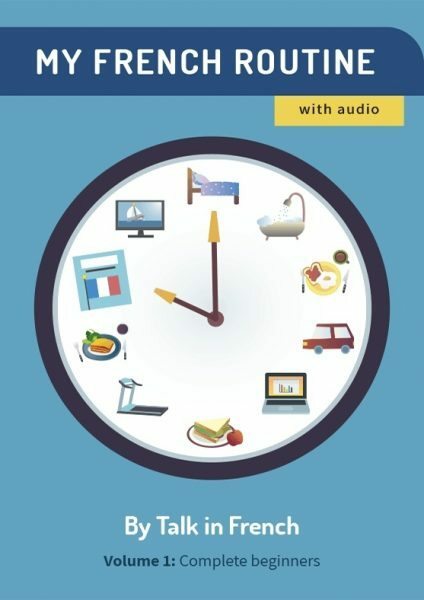 I also offer an extended version of this blog post, (90 Common French Phrases) saved as a PDF that you can print for daily use. Now we also offer the audio through the mp3 format. Click the button below to get your copy. avez-vous faim? are you hungry (formal)? c'est quoi? what is it? c'est tout? is that all? c’est combien? how much is it? c’est grave? is it serious? combien cela coûte? how much is this? comment t'appelles-tu? what's your name (informal)? comment vas-tu? how are you (informal)? ne t'inquiète pas! don't worry (informal)! où on se retrouve? where do we meet? où pouvons-nous manger? where can we eat? où sont les toilettes? where is the bathroom? peux-tu m'aider? can you help me (informal)? puis-je faire ça? can I do that? qu'est-ce qui se passe? what is happening? qu’est-ce que vous recommandez? what do you recommend (formal)? que voulez-vous faire? what do you want to do (formal)? qui est-ce? who is it? quoi de neuf? what's new? The 25 most useful French phrase I learned while studying in France. Let me know which ones you find the most useful for you in the comments section. P.S: Do not hesitate to share this article on Pinterest, Facebook, Twitter or Google+. Start learning French today! This guide for beginners will help you get started.